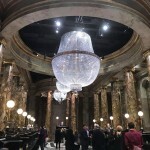 ‘Harry Potter’ Films Take the Floo to New Networks Syfy and USA! 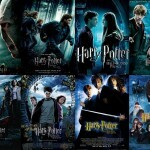 UPDATE: All eight Harry Potter films will begin airing on their new network homes, Syfy and USA, July 13, kicking off with a marathon over the weekend. Fans can start from the very beginning with Sorcerer’s Stone at 8pm ET through Deathly Hallows Part 1 and 2 airing Sunday, July 15 at 5:15p ET. An encore of both parts of Deathly Hallows will be shown Monday, July 16 at 2pm ET. Even better news; both networks have stated that fans can expect limited commercial interruptions during when the series is broadcast. Late last year Leaky reported on the exciting news that HBO GO, HBO NOW and HBO On Demand would be airing Harry Potter marathons in the new year. For fans without the DVD or Blu-ray editions of the eight films adapting J.K. Rowling’s epic wizarding series, this was a magical turn of events! Now Collider reports that the films will stop streaming on HBO as soon as the end of June when the cable rights transfer to NBCUniversal. Though dates and times for the upcoming viewings have not been released yet, we’ll be on the lookout for that information. In the meantime, IGN did put out an exclusive trailer celebrating the franchise’s arrival! 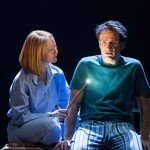 So, Potter fans, will you be more or less likely to tune in to the Syfy and USA networks? Will you hunker down with a homemade butter beer brew and a handful of licorice wands for all eight films, or will you schedule your weekend around the airings of your favorites? And which might those be? 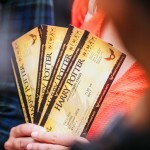 If only we could Accio whatever we needed, we’d never have to leave the couch or choose! Oh, for a few well-placed enchantments around the house, am I right?